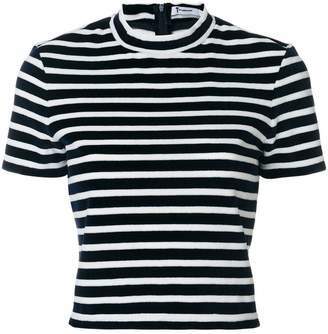 T by Alexander Wang High Twist Jersey Ruched V Neck Tee in Black. 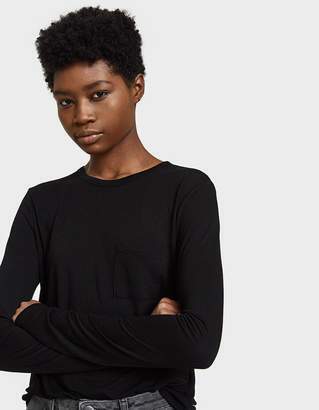 - size XS (also in S,M,L) T by Alexander Wang High Twist Jersey Ruched V Neck Tee in Black. 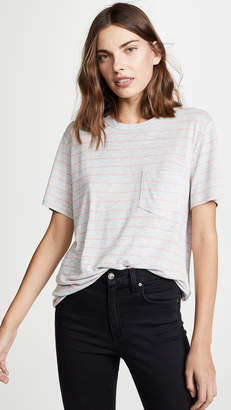 - size XS (also in S,M,L) Body & Rib: 100% cotton. 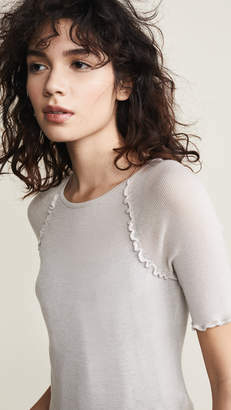 Ribbed knit neckline. 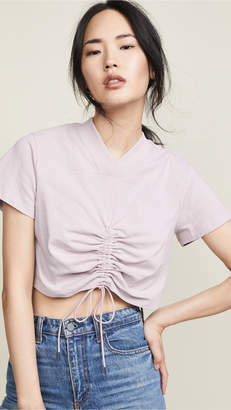 Front ruched detail with adjustable drawstring. Imported. TBYA-WS691. 4C191080. 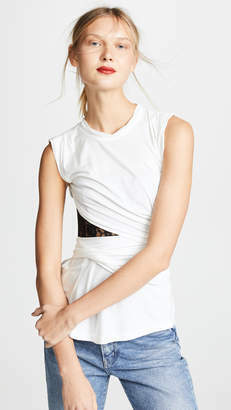 Alexander Wang is known for his casual mix of refined silhouettes and urban chic. His eponymous line offers a provocative twist on day-to-day garments, where street meets luxury and ones personality shines through style. 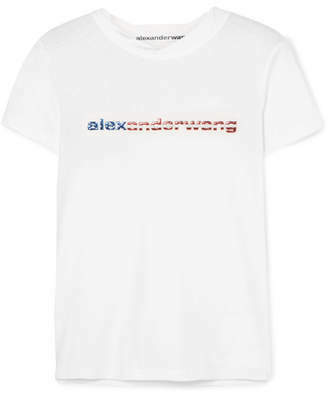 T by Alexander Wang offers the same ideals, but is centered around tee shirt dressing and pushing basics to a whole new level. 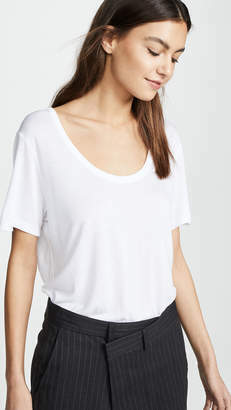 Think stretched out necklines, muscle tees, mini patch pocket detailing, and shades of gray, white, and black with pops of color.